The Vela constellation shelters a well-known pulsar, which also has an associated pulsar wind nebula, called Vela X. The pulsar is at only about 900 light years from Earth, therefore many telescopes are able to make out a lot of details in the structures of the nebula. It extends over more than 30 light years, far beyond the wind termination shock. The complex structures are thought to be produced by the evolution of the supernova remnant and pulsar wind nebula inside an inhomogeneous medium. H.E.S.S. 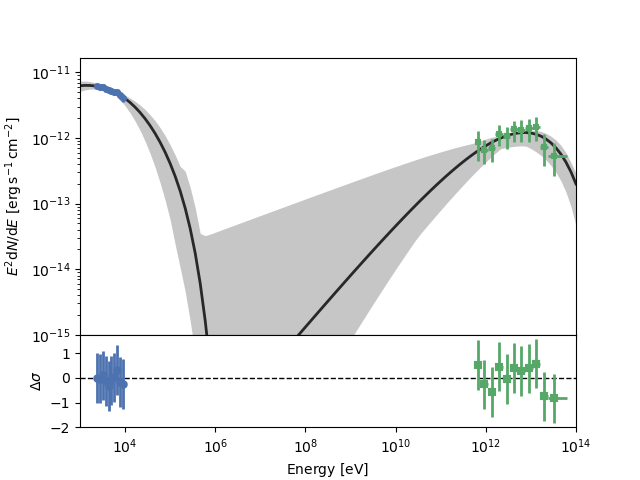 has detected bright very high-energy gamma-ray emission from Vela X [1,2]. 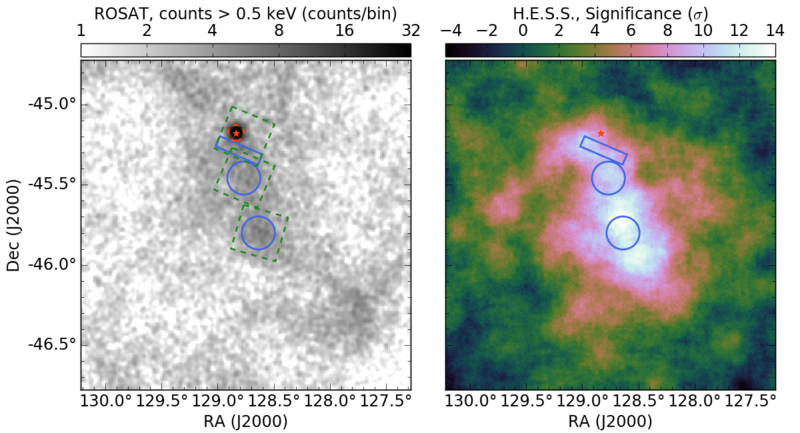 The bulk of the emission coincides with an elongated structure, dubbed the cocoon, very bright in X-rays, seemingly emanating from the wind termination region and stretching over 15 light years.